Rami Malek's Oscars experience ended on a bumpy note. The "Bohemian Rhapsody" star was fresh off his Best Actor win when photographers caught Rami as he took a tumble off the Dolby Theatre stage and fell into the audience area after the ceremony concluded. Paramedics appeared to rush to the actor's aide, who was photographed seated in the front row with his Oscars statuette still in hand. People reports Malek was then moved to a private area backstage, where he received further treatment for possible injuries. 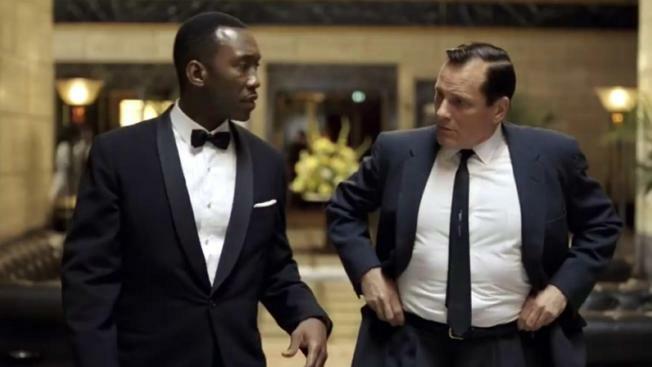 The outlet also says Malek was unable to pose with Mahershala Ali, Regina King and Olivia Colman, who like Malek also won big at the Academy Awards. E! News has reached out to Rami's rep for comment on the matter. Misstep aside, Malek certainly enjoyed an Oscars evening he won't soon forget. During his acceptance speech, the celeb (who portrayed late Queen frontman Freddie Mercury in the biopic) reflected on the importance of his win. "I think about what it would have been like to tell little bubba Rami that one day this might happen to him," he said. "And I think his curly-haired little mind would be blown. He was struggling with his identity, trying to figure himself out. And I think to anyone struggling with theirs, and trying to discover their voice, listen, we made a film about a gay man, an immigrant, who lived his life just unapologetically himself." "The fact that I'm celebrating him and this story with you tonight is proof that we're longing for stories like this. I am the son of immigrants from Egypt, a first-generation American. And part of my story is being written right now. And I could not be more grateful to each and every one of you, and everyone who believed in me for this moment. It's something I will treasure for the rest of my life," he concluded.